Rezoning by definition should be the exception, not the rule. Dee will stop these irresponsible land use practices using her experience as former Executive Director of Preservation Delaware and S.A.V.E., a conservation, land use, smart transportation and smart growth advocacy organization. 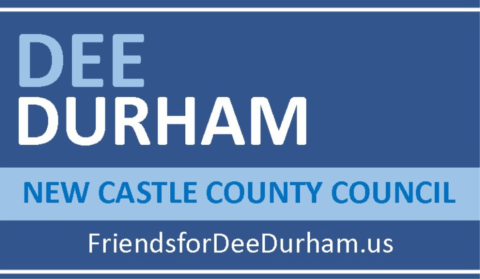 Dee will work to give the community a greater voice in the future of the area. Environmental protection is needed at every level of government, especially given the current Trump-tainted EPA "leadership." Dee's personal connection to the area, along with proven leadership in the environmental arena, provides her with the experience and ability to implement and enforce responsible environmental and conservation policies. Millions of dollars in the County budget are not being used as delineated for open space protection, and the defunct farmland program needs to be restored and leverage available state and federal funding. County government has struggled with ethics issues and conflicts of interest for far too long. Dee will enforce and improve the County's code of conduct and bring with her the integrity exhibited through her former role as Program Director for Common Cause Delaware.